What’s the best thing to do to save wild salmon and Bristol Bay? Eat them. #EatWildSaveWild. The next best thing is to send a letter. First Quantum Minerals is the Pebble Mine’s new financial partner. If they fund Pebble they will help push the Pebble Mine into existence in Bristol Bay. This Thursday, May 3rd, First Quantum will hold its annual shareholder meeting. Please write your own email or copy and paste the sample below and urge First Quantum Minerals to cut its ties with the Pebble Mine and its owner Northern Dynasty Minerals - including the termination of a potential option agreement and any further financial payments to the Pebble Project. The Pebble Mine is irresponsible and irreversible and faces growing opposition both in Bristol Bay and nationally. Other major mining companies like Anglo American and Rio Tinto have walked away from the Pebble Mine and First Quantum Minerals should learn from them and do the same. You can also write to the U.S. Army Corps of Engineers by visiting here. Help us save what we love and become a member of THE WILD's digital street team! 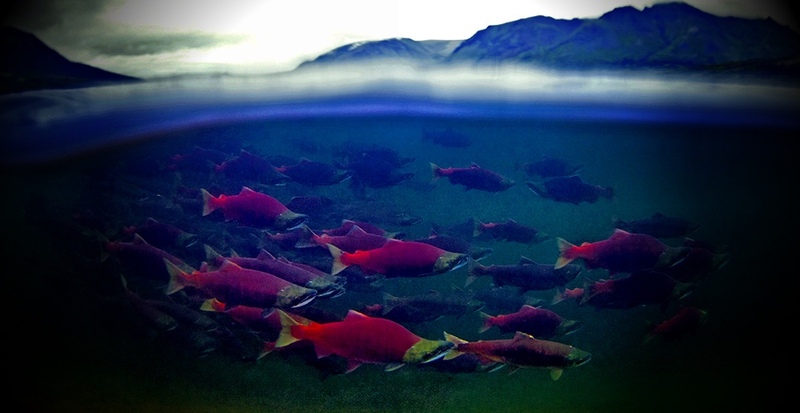 Visit the sites below to support wild salmon by eating wild salmon! Donate money to Alaska Wild Salmon Fund righ here.